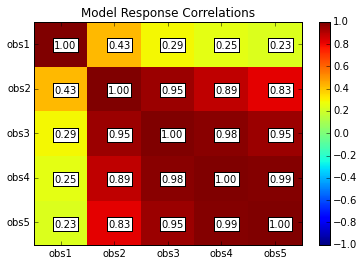 This example demonstrates a Latin Hypercube Sampling of a 4 parameter 5 response model using the lhs function. 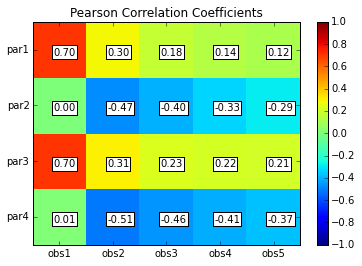 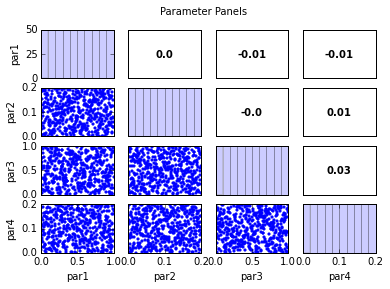 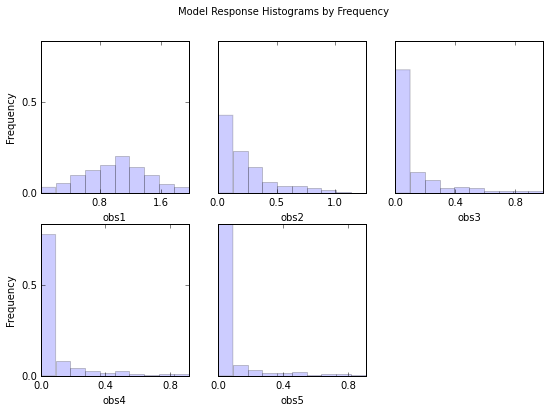 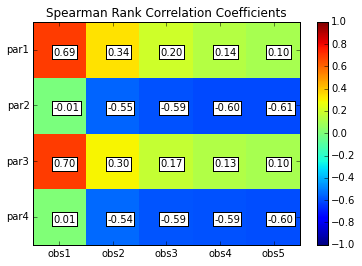 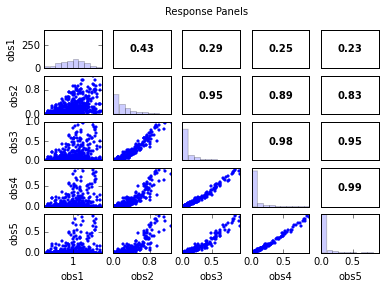 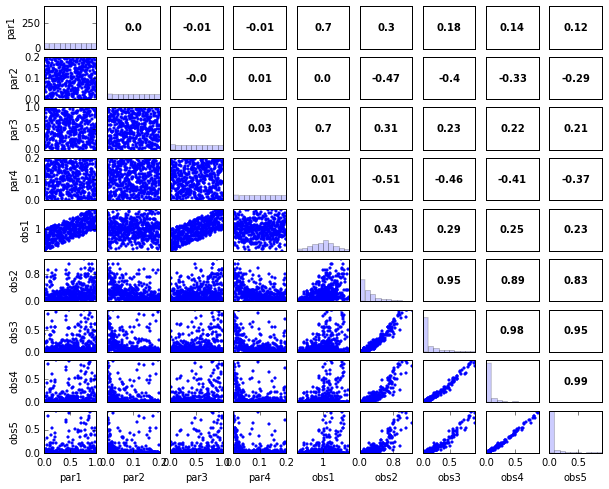 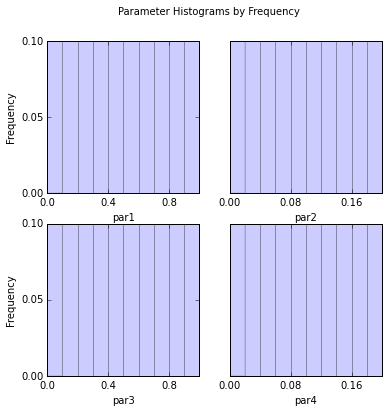 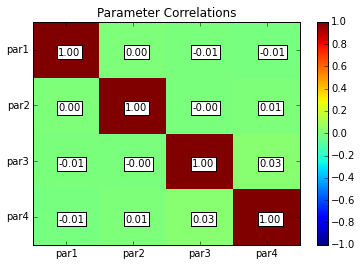 The models of the parameter study are run using the run function. 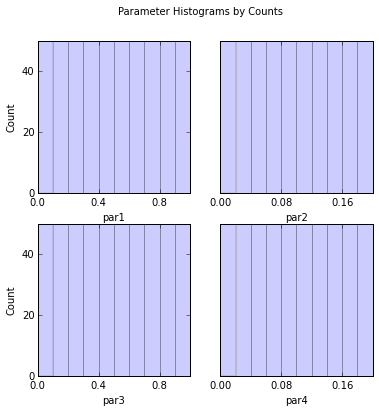 The generation of diagnostic plots is demonstrated using hist, panels, and corr.